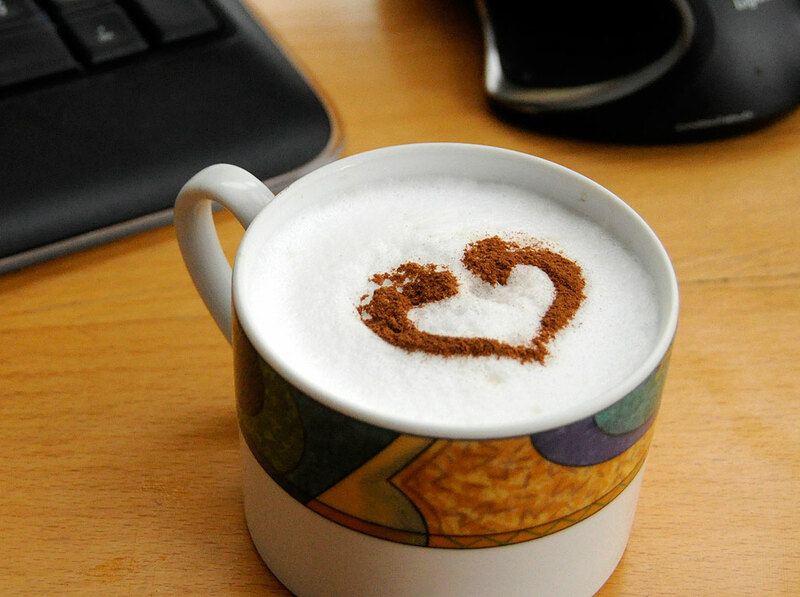 What better way to show your love to your sweetie-pie than with a cup of Love Cappuccino??? 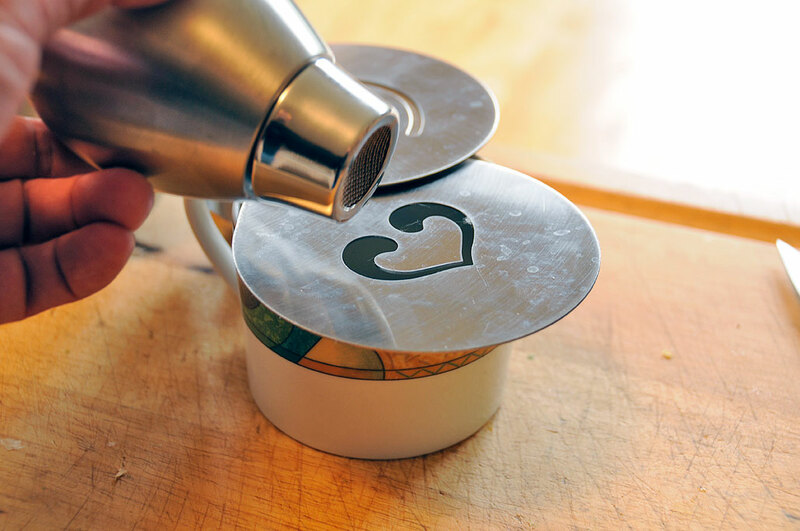 To lay down a perfect cocoa-powder heart, one can have either super-steady hands or a stainless-steel heart stencil. We opted for the latter. The stencils may be made from different kinds of material. We found some stainless steel ones on sale at IKEA. The kit also came with a spoon and two shakers. One for powdered sugar, the other for cocoa. Making the heart-shaped cocoa is pretty simple. First, make the cappuccino in the normal way. Next, place the stencil on top and sprinkle on the cocoa. Serve to your sweetie-pie while hot.